Compassionate Integrity Training (CIT) is a multi-part training program that cultivates basic human values as skills for the purpose of increasing individual, social and environmental flourishing. By covering a range of skills from self-regulation and self-compassion to compassion for others and engagement with complex systems, CIT focuses on and builds towards compassionate integrity: the ability to live one’s life in accordance with one’s values with a recognition of common humanity, our basic orientation to kindness, and reciprocity. Unlike some definitions of integrity that focus on mere consistency with one’s values, without examining what those values are, compassionate integrity insists that consistency with one’s values is not enough if those values promote harm to oneself, others, or the world. Instead, maintaining and increasing consistency with one’s values is most beneficial when they are values that promote one’s own well-being as well as that of others. As to what those values are and how we understand them, this is arrived at by investigating and examining things for oneself, using common sense, common experience, and science. Compassionate integrity is, therefore, not something achieved merely as a result of wishful thinking or force of will, but rather as the result of building up knowledge, understanding, and a set of concrete skills. Because compassionate integrity is what guards against actions that compromise the well-being of oneself and others, cultivating it in one’s life and in one’s community directly impacts individual and collective flourishing. Although CIT deals with values and concepts like compassion and integrity, it is based on a secular approach to universal ethics based on common sense, common experience and science, rather than a particular culture or religion. Secular ethics can be useful to people of any or no religious background, while not being in any way in conflict with any particular religious values. The word “secular” in no way implies a stance that is against religion; on the contrary, it implies inclusivity and a respect for all. This approach to ethics has been advocated by organizations such as the Sustainable Development Solutions Network of the United Nations through its World Happiness Report and individuals such as His Holiness the Dalai Lama. The United Nations Declaration on Human Rights of 1948 was also based on a secularized philosophy of universal values which took all human beings, all nations, all cultures and all religions and non-believers into account. CIT is based on cutting-edge developments in the fields of neuroscience, psychology, trauma-informed care, peace and conflict studies, and contemplative science, and builds off of work done by Daniel Goleman (author of the book Emotional Intelligence) and Peter Senge, initiatives in Social and Emotional Learning (SEL), and other areas. Its development has been aided by the collaborative work of a team of experts with both academic and applied backgrounds in these areas. The development of CIT would also not have been possible if not for a range of other programs and protocols that have been trailblazers in exploring the cultivation of resilience, mindfulness, gratitude, compassion and a recognition of interdependence. These programs include Cognitively-Based Compassion Training at Emory University, Compassion Cultivation Training at Stanford University, Mindfulness-Based Stress Reduction, the Trauma Resiliency Model and Community Resiliency Models of the Trauma Resource Institute, the Ayeka model, and the Japanese practice of Naikan. While CIT is a complete training in itself, those who explore these other available methods and protocols will no doubt expand and deepen their understanding of the concepts and practices explored in CIT. CIT begins with the foundational concepts that set the stage for the entire program, and then moves through a series of 10 modules, each focusing on a particular skill. These modules are organized into three series, each corresponding to a domain. 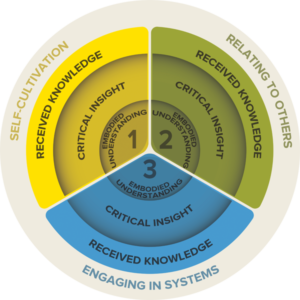 CIT utilizes a “three-in-three” educational model that integrates three domains of knowledge and three levels of understanding. The three domains begin with a focus on the self (Self-cultivation), then move to others (Relating to Others), and finally to a systems-perspective, meaning the larger networks we exist in. Self-Cultivation covers how one relates to oneself and the knowledge and skills related to the inner life of the individual. This begins with the ability to self-regulate one’s body and emotions, and then moves on to include self-compassion and inner qualities like courage, fortitude, and forbearance, and the identification of one’s values. Relating to Others covers how one relates to others constructively and in a way that promotes one’s own and others’ well-being. Built on the foundation of self-regulation and restraint from harming others, this involves strengthening the prosocial skills of forgiveness, gratitude, impartiality, empathy, and compassion. 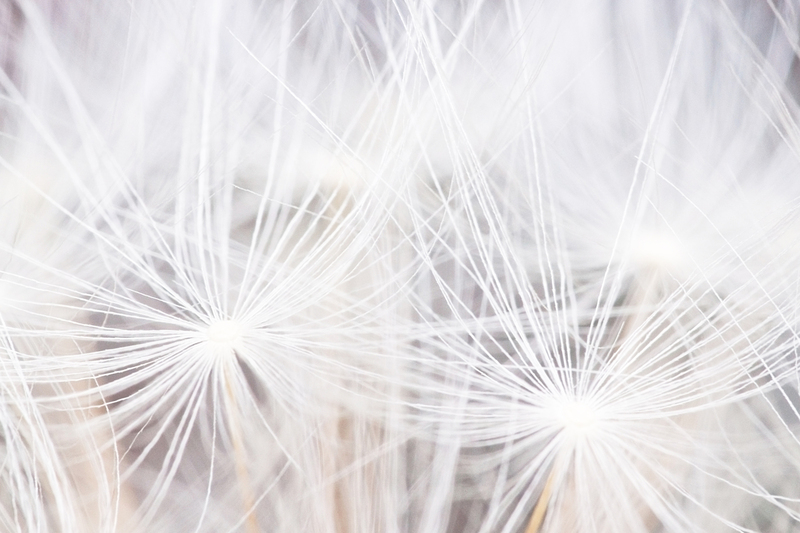 Engaging with Systems covers how one engages compassionately and with integrity as a participant in complex systems. This involves recognizing our interdependence and the interdependence of systems, which can be as small as our family or local community, or as vast as the world, and developing the skills and discernment to act effectively for constructive change within those systems. Engaging with compassionate integrity and critical thinking gives us the best chance for achieving positive results that enhance the well-being and flourishing of ourselves and others. Received Knowledge: This refers to learning new information and developing a clear understanding of a particular topic. It is the first step in developing understanding. Received knowledge can be quite extensive, but at this level it has not yet become personal. Critical Insight: This is when the participant, through exercises and practices, uses his or her own life experiences and reason to come to a flash of personal insight, an “a-ha moment”, when he or she realizes how the knowledge relates to his or her own life. At this point knowledge has started to become transformative. Embodied Understanding: Moments of critical insight are often not powerful enough to dislodge habits, therefore embodied understanding refers to the deepening and further internalizing of knowledge so that it becomes second-nature and spontaneous: not just something one knows, but part of who one is. This happens through repeated practice and continued reflection on one’s critical insights. Recent discoveries in neuroplasticity and neurogenesis show that sustained practice changes brain structure and neural functioning, suggesting that long-term changes in body, brain and behavior are possible. This is where knowledge (including the knowledge and skills of self-compassion, compassion, integrity and so on) becomes transformative at its deepest level. These three levels of knowledge apply to learning many skills, such as speaking a foreign language or playing a musical instrument. At first the student needs to learn the different parts of the instrument, how to read sheet music, and so on. On-going study and repeated practice eventually leads to moments where things just “click” and the student gains insights that lead to sudden increases in their understanding and ability to play. For these gains to be consolidated, however, the student needs to continue to practice in the correct way over a long period of time. Eventually, over a longer period of practice and study time, this leads to a degree of fluency where the student’s ability to play a piece (or speak the language) is spontaneous and embodied.